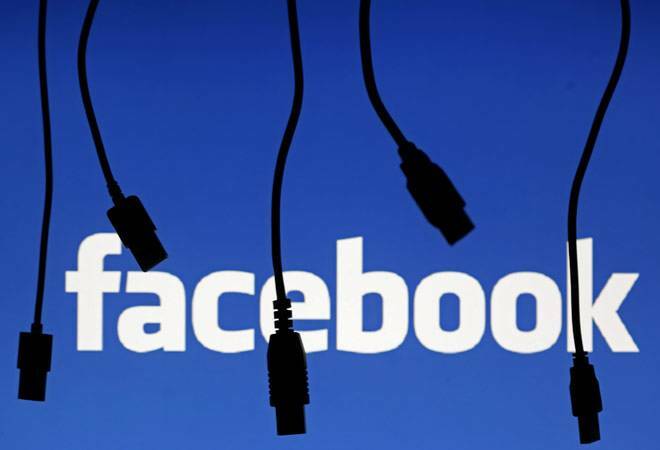 Terming Facebook's action as diversionary, the Telecom Regulatory Authority of India said the whole consultation exercise has been reduced to "a crudely majoritarian and orchestrated poll". A day before the open house discussion on differential pricing of data, a full-scale war of words has broken out between telecom regulator Trai and social network Facebook over the Net neutrality debate. "Neither the spirit nor the letter of a consultative process warrants such an interpretation which, if accepted, has dangerous ramifications for policy-making in India," Trai said in its letter to Facebook on January 18. According to the regulator, the campaign by Facebook to defend its free Internet platform Free Basics in India is "wholly misplaced" as "the consultation paper is on differential pricing for data services and not on any particular product or service". Facebook India on Wednesday responded to Trai's allegations, saying it's being singled out. "We would note that we are not aware of a similar request (from Trai) having been made to any other commentator who did not answer these specific questions," it said in the reply. "And we continue to believe that the original comments submitted were responsive to the general questions raised in the consultation paper, which clearly covers such topics as the Free Basics programme," Facebook Public Policy Director for India, South and Central Asia Ankhi Das said. Trai also spoke of "the self-appointed spokesmanship", in which "you have not been authorised by your users to speak on behalf of them collectively". The regulator went on to say that despite giving an opportunity to people who shared their views through the Facebook platform, "text of Trai's communication was not in turn conveyed by you (Facebook) to those who had sent responses to Trai using your platform". It all goes back to December 2014 when Airtel decided to charge separately for Internet-based calls, but withdrew the plan later after facing protest. The debate heated up after Airtel launched its free Internet platform Airtel Zero and Facebook followed suit with its Internet.org, which was later rechristened as Free Basics. Trai has started a public consultation on whether plans or schemes allowing differential pricing of the Internet based on its usage should be allowed or not. This is the first consultation paper from Trai which has received maximum comments -- around 24 lakh -- till January 7, the deadline which was extended from the earlier December 30. The social network behemoth claims that the number of comments in support of Free Basics to be more than 1.35 crore as against Trai's official figure of around 24 lakh. Facebook thinks that "someone with access to designated Trai e-mail account appears to have blocked receipt of all e-mails from Facebook". In a separate letter addressed to Trai, Facebook said it found that "on December 17 at 5.51.53 GMT, an individual with access to the Trai e-mail account designated to accept comments took action that blocked Facebook from delivering any additional e-mail". The regulator has cited a similar instance of user complaint on non-functioning of an e-mail address during the response period, which was "brought to its notice and the situation was immediately rectified". "It is surprising that it took over 25 days for you to inform Trai about this," Trai said in the January 18 letter. According to Trai Chairman R S Sharma, the regulator will firm up its views on differential pricing of data services by the end of this month. London, Jan 20 (PTI) The royal corridors of Buckingham Palace, Queen Elizabeth II's home, which is usually the preserve of paying visitors or guests, can now be seen through a new virtual reality tour. The queen's primary residence can be accessed via a new video uploaded on the 'British Monarchy YouTube Channel' as part of a larger Google Expeditions Pioneer programme. The palace will be the first UK landmark to feature in a related virtual field trip intended for schoolchildren around the world. "For schoolchildren, Buckingham Palace is one of the most iconic, magical buildings in the world. We're terrifically excited that, thanks to the virtual reality potential of Google Expedition, children, their teachers and families can visit the palace wherever they live," said Jemima Rellie, director of content and audiences at the Royal Collection Trust which has collaborated with Google for the project. "Virtual reality is really something. It's a game-changer. It is entirely different. It is the most physically immersive experience you can get without actually being at the palace. It's not going to replace a visit, but if you are unable to get to the palace, it is the best alternative out there," she said. Using a special app and a cardboard stereoscopic viewer and smartphone, pupils from selected countries will be guided through the palace's grand entrance, up the grand staircase, through the throne room, picture gallery, green drawing room, ballroom and white drawing room. The Buckingham Palace tour is one of 150 such tours on the free app available to 500,000 pupils who have signed up so far in schools across the US, UK, Canada, Australia, New Zealand, Singapore, Denmark and Sweden. Other countries are to be included as the project expands this year. The photos for the tour were taken last week with a 16-camera rig placed in a circle. The general public can access the 360-degree tour via the YouTube Video Link: https://www.youtube.com/watch?v=gen0NgJjry4. Visitors can stand at the bottom of the grand staircase and, although not able to move, have an almost complete view of the architectural wonder dating back to the early 18th century.